This embroidery is taken from a traditional Chinese under garment, the du dou, a garment that is made by the mother for the child as an extension of love and blessing. The design of this embroidery showed the well wishes of the mother, the hope that her child would become a zhuang yuan, the scholar who came first in the official examination. Since the Siu dynasty, the imperial court has set up a system of examination to find the best scholar to take up an imperial post. This is perhaps the only way to promote one’s status in a hereditary society. 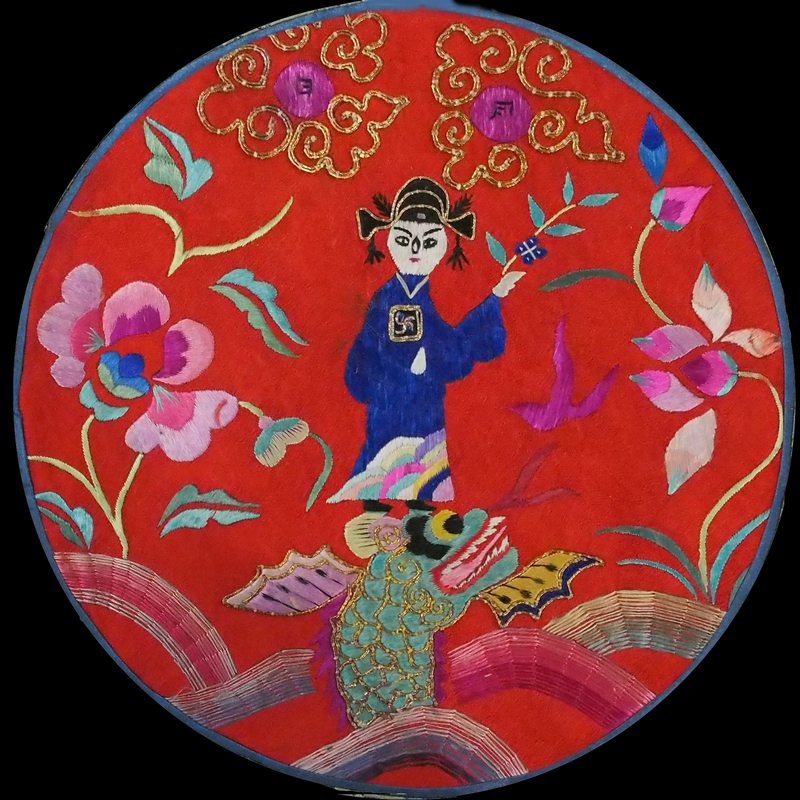 In the embroidery, there is the zhuang yuan holding a bamboo while stepping on head of the Ao fish. 獨占鰲頭, occupying the head of the so fish alone, is a symbol of being the zhuang yuan for during the ceremony with the emperor the zhuang yuan will be standing on the head of a stone carving of the ao fish.